Spontaneous tumors in dogs and cats are appropriate and valid model tumor systems available for testing cancer therapeutic agents or studying cancer biology. The pet population is a vastly underutilized resource of animals available for study. Dogs and cats develop spontaneous tumors with histopathologic and biologic behavior similar to tumors that occur in humans. The tumors with potential relevance for human cancer biology include osteosarcoma, mammary carcinoma, oral melanoma, oral squamous cell carcinoma, nasal tumors, lung carcinoma, soft tissue sarcomas, and malignant non-Hodgkin's lymphoma. Canine osteosarcoma is a malignant aggressive bone tumor with a 90% matastasis rate after surgical amputation. Its predictable metastatic rate and pattern and its relative resistance to chemotherapy make this tumor particularly attractive for studying anti-metastasis approaches. Canine and feline malignant mammary tumors are fairly common in middle-aged animals and have a metastatic pattern similar to that in women; that is, primarily to regional lymph nodes and lungs. Chemotherapy has been minimally effective, and these tumors may be better models for testing biological response modifiers. Oral tumors, especially melanomas, are the most common canine malignant tumor in the oral cavity. Metastasis is frequent, and the response to chemotherapy and radiation has been disappointing. This tumor can be treated with anti-metastatic approaches or biological response modifiers. Squamous cell carcinomas, especially in the gum, are excellent models for radiation therapy studies. Nasal carcinomas are commonly treated with radiation therapy. They tend to metastasize slowly, but have a high local recurrence rate. This tumor is suitable for studying radiation therapy approaches. Primary lung tumors and soft tissue sarcomas are excellent models for studying combined modality therapy such as surgery with chemotherapy or biological response modifiers. Finally, non-Hodgkin's lymphoma is a common neoplastic process seen in the dog. These tumors respond to combination chemotherapy and have great potential as a model for newer chemotherapeutic agents and biological response modifiers. 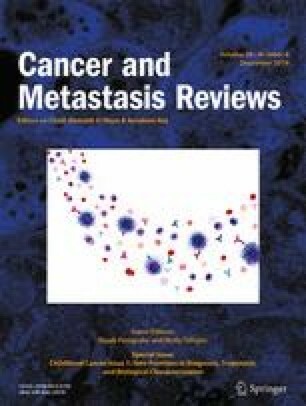 This paper will further elaborate on the relative merits of each tumor type as a model for human cancer therapy and biology.